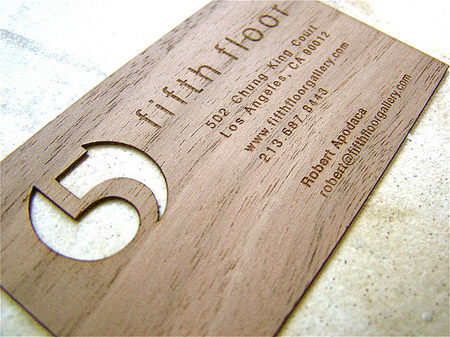 Collection of creative business card designs and cool business cards that everyone should see. 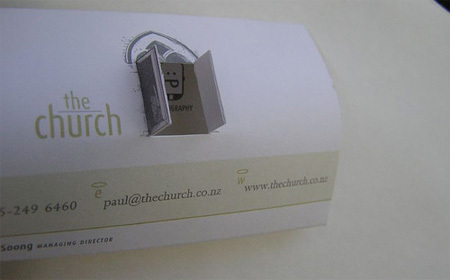 Business cards of all staff members in one small package. 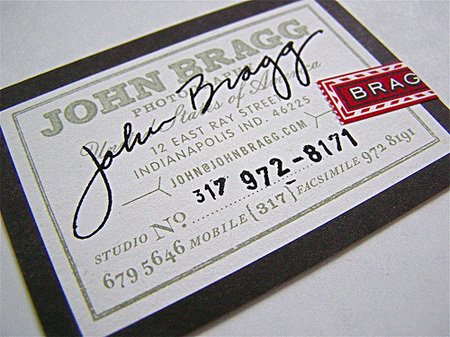 Awesome business cards designed by Promptt. 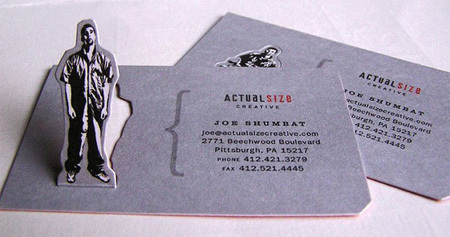 03 – Actual Size Creative Business Card Is pretty cool. There are all awesome – except at least half of them I would see in my wallet and think that they were trash. It comes with an iPhone (based on the picture)! Art is Art,dates back to caveman days in the caves. what will it be in the year 3000? If #12 is real wood. I think it has to be the most creative and original. Yes, agree with Bob S. Jimmy.LA is the way to go since you get the iphone with it. Wonder where he gets the material for that though.. This remarkable. I can just imagine people getting these cards and telling their friends about it, which is exactly what you should want. I think there missing the kevin mitnick business card. Some brilliant design work, to be sure… but some of the most creative designs are also a bit counter-productive. 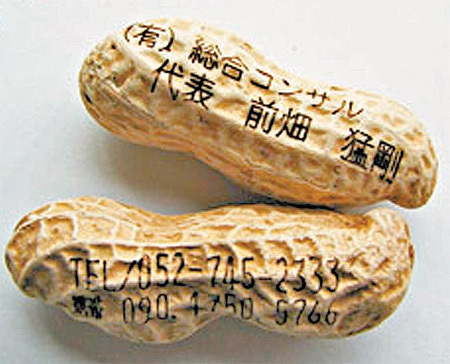 A block of wood or a peanut not only won’t fit into a rolodex, they aren’t going to get filed anywhere–as is the case with most cards of non-standard size or materials, once you get past the initial “wow” factor, they’ll be in the trash and are unlikely to be where you want your prospect to have them–easily accessible to them. Way too much sacrifice of functionality and readability in the name of uniqueness or creativity. That is not what design is. very creative designs…. really like number 13. About these not fitting in a roladex, or going to the trash… Im a designer and I have plenty of very creative business cards and no roladex. I just find a creative way to keep them. 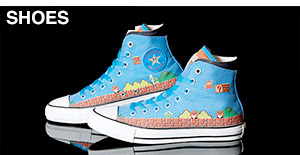 As to cost, some of these with crazy die-cuts would be very expensive. 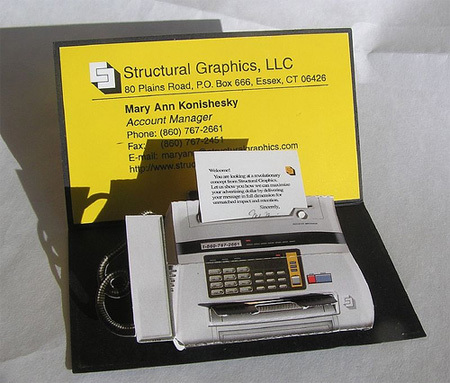 My personal business card has a Die-Cut and 1000 cost me $500, and its simple. A bunch look hand made so those would be very cheap. 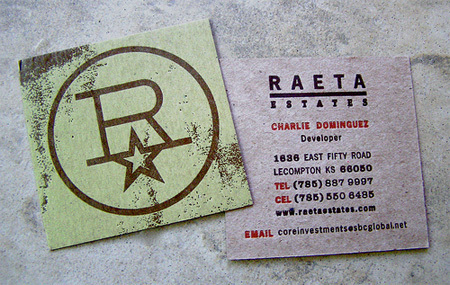 Also I priced a metal die-cut business card for a client once, they turned it down because the die alone was going to cost $2500. hahaha, who the hell uses a rolodex? 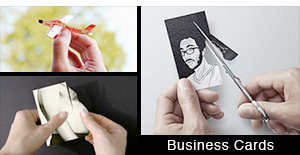 I never thought I would see so many different ideas for business cards. Surely makes my card look boring! 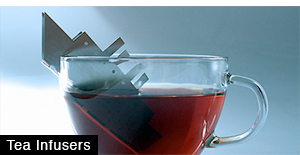 Are there firms specializing in printing/building these alternative designs or are they all made by the designers? 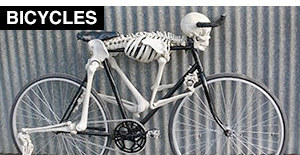 I am supposed to sit down this weekend and design two sets of business cards, so this was a perfectly timed post. 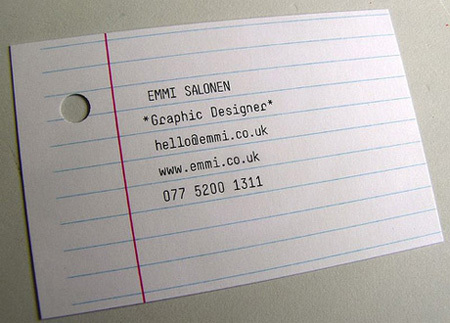 Surely I thought my design was decent for my business card, but these are just amazing. Good selection! 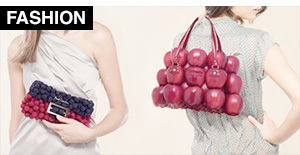 Some concepts are pretty awesome and daring. Thanks for sharing! Wow! Thanks for the mention, Toxel! While I can’t vouch for any of the other cards here, I can say that my cards were printed at PlastekCards.com for about a dollar a piece. 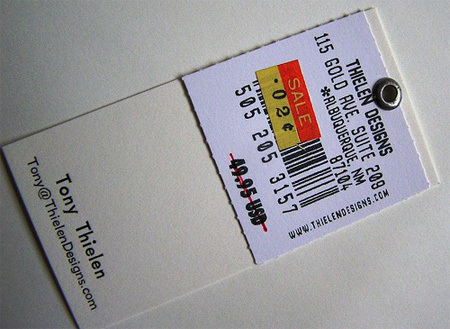 It sounds expensive, but when I hand people this card they say “wow!” and hold on to it. It may not be today or tomorrow, but somewhere down the line someone they know will need web work, and they’ll have my card. This is also why I made sure mine would fit in a wallet. It’s working… I have to turn away business daily. My phone rings a few times a day now, thanks to this Toxel thread. Anyways, I appreciate it! You have a new reader. 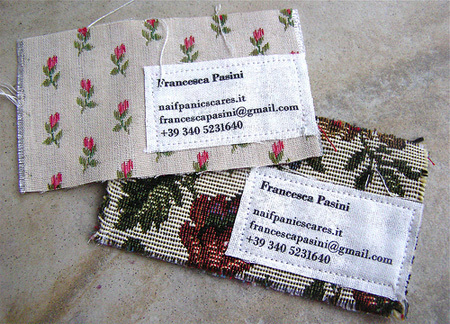 thanks for posting my business card, i made the one in fabric and i think it’s the poorest one!here there are some masterpiece! i haven’t spent any money it’s all made by old stuff from my mother’s fabric collection…i made them just for fun but i’m happy if anyone enjoys them! Very nice and usefull, GOOD. Francesca, I think your card is awesome. It’s simple, doesn’t cost you much, but is still effective. 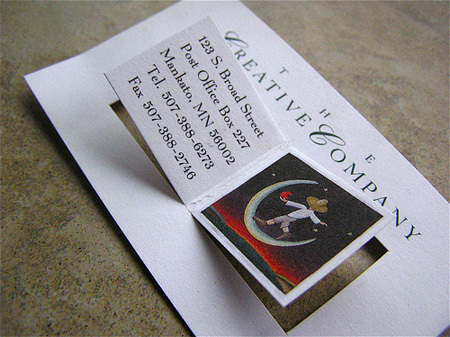 It’s different from the norm, so it catches the eye, and that’s the point of having a creative business card. Very nice! Quite a few of these look like they may have come from PlasmaDesign in the UK. 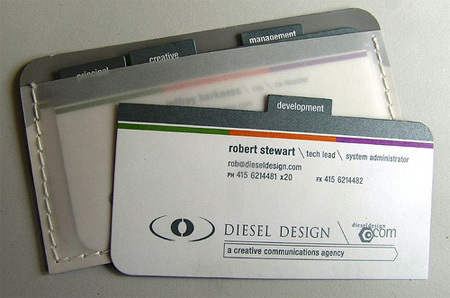 The translucent plastic card looks very similar to the examples on http://www.plasmadesign.co.uk/plasticbusinesscards.htm and I believe they might have manufactured Kevin Mitnicks card too. #12, where can i get this done? Awesome collection: I haven’t been that excited about redoing my business cards or talking about creative design for business cards since getting so involved in social media; but this is a great list to bookmark for some great ideas. Thank you for posting this. agree with Bob S. Jimmy.LA is the way to go since you get the iphone with it. Wonder where he gets the material for that though.. There are some nice ideas here. It’s too bad that die cuts are so prohibitively expensive. They could work great for a designer’s self promotion, though. The first (un-numbered) card is cliche, but a good cliche. Cards that have a use to the contact are more likely not to get tossed so quickly. The domino card is cute, but useless. 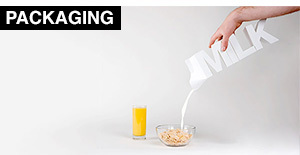 Toxel.com is a wonderful source for ideas. Keep these coming! Can any Russian speakers here translate the scribbled writing on #21? 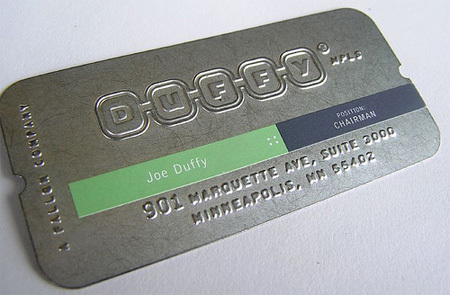 I had one from a credit card systems guy that looked like a credit card. I had a metal one with a folding knife in it from a customer, but they took it away at the airport. 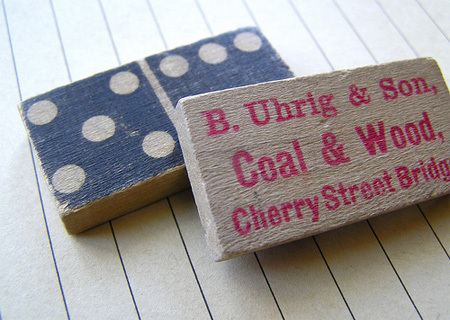 I also had a ‘wooden nickel’ one from a guy in the Midwest. 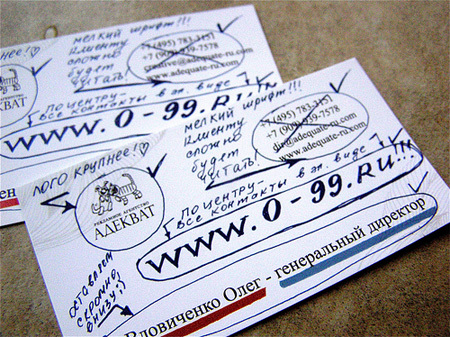 How much do people pay to have someone build them a business card? I need some ball park rates for custom made designs if anyone can help? I forgot…thanks for the inspiration. I enjoyed the way you laid out the images and the wisdom of good design ideas-clean, clear and creative. 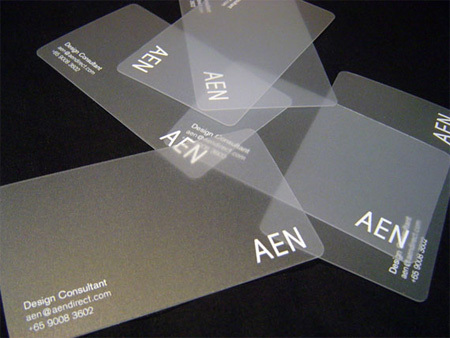 The AEN Business Card is my favorite…it has given me a great idea for my business. I love it, i think i like the floor plan or the russian one the most. Great designs! Are this a Muster? Can every one buy ist every where? 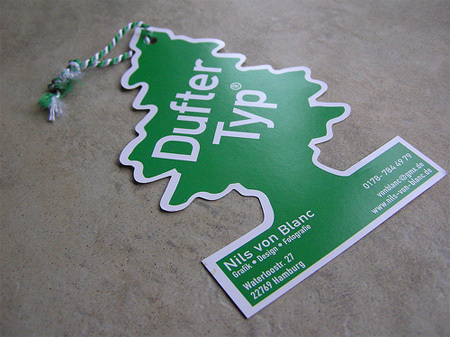 Great Design, the second is very nice. 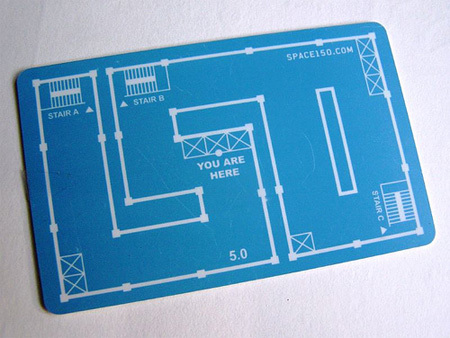 You should also check out Kevin Mitnick’s lockpick business card, quite possibly the coolest one I’ve seen yet. this cards set you APART they are highly creative,full of ingenuity,i like them all, especially #1,2,6,14 and 18. they are unique. All Designs are great…But care must be taken that they fit in the folder, for future refrence. 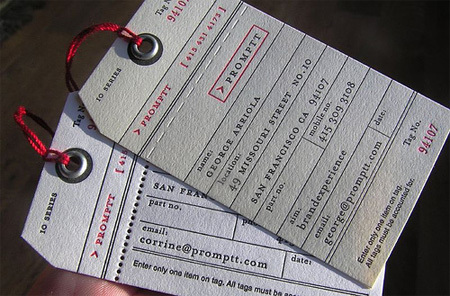 These are some of the coolest business cards I’ve ever seen! I would take any of them. Will have to find somehwere that can produce these in Australia. I like #13 the best with the iphone under it! I’m a graphic design student and I have to thank you so much because all these designs inspire me a lot on my final year project~! 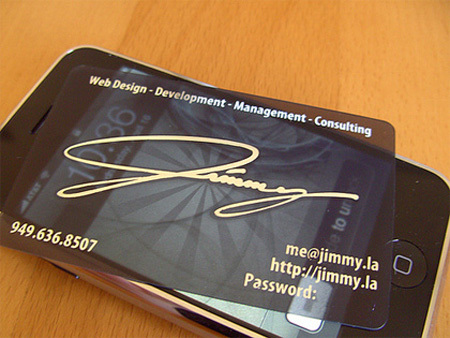 The one thing I learned here: Translucent plastic cards automatically look cool. 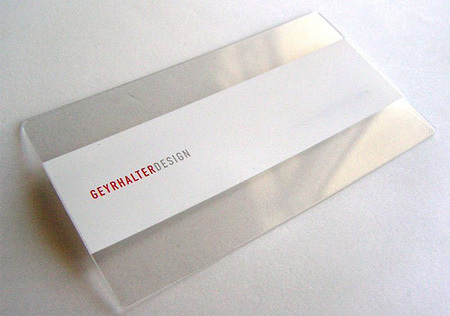 I design business cards and I have been given some good inspiration from these. Very useful post indeed. Thanks a mil. It’s amazing! Incredible, indeed. Thanks for what I saw here. Good work! It’s just amazing how a crisp clear font and a dash of creative genius can invoke emotions and project the intended image of professionalism. Little works of art the lot of them. Francesca….. 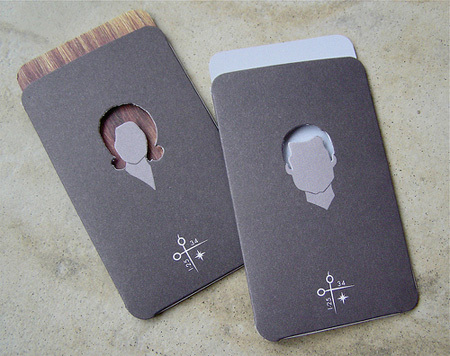 Your card is not the poorest one shown… Very innovative and awesome. I plan to make something similar as it is a very very eye catching design. Good job! #1 One is the best. 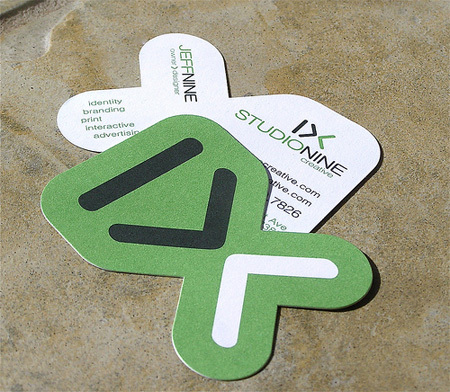 Every business owner is looking for a card no one would throw away. People will play with it measuring thing and use it when they can’t find a ruler. I am going to try a design similar to this now. #6 is a great concept. Although I think that most on there are absolute works of art. Will definitely keep them in mind for inspiration moving forwards.